Family Farm Seaside is a perfect game to play with the whole family. It offers over 2,000 products and unlimited barn space! Start your very own successful farm! Raise cute farm animals and harvest various kinds of crops. Watch your place level up to get access to more upgrades. There are more than 60 million people playing the Family Farm Seaside game. There’s a huge network of players to connect with. Visit neighbors’ farms, try their dishes to earn prizes, help clean decorations, and trade farm products. The game has an Exotic Island Farm, as well as a Marine Sea Resort. You will not run out of amusing objectives to accomplish! What are you waiting for? Try Family Farm Seaside now and get updated with the latest gift code guides and help from the forums and blogs! The game starts with the story of the two siblings, Felicia and Darryl. They need your help in managing the Family Farm. Don’t worry about being a newbie. Just follow the tutorials and you’ll be on your way to starting a thriving farm! Unlike other games, Family Farm Seaside offers unlimited barn space. You don’t have to worry about running out of storage space again. The game has a lot in store for players with over 400 dishes in the kitchen. There are also more than 200 products to plant, harvest, and produce. You can keep upgrading and improving your farm by accomplishing daily orders and new missions and quests in Family Farm Seaside. When you’re ready, compete with other farmers in a farm beauty contest. Who says you can’t keep making your farm looking better? Family Farm Seaside provides you with an option of 500 unique decorations. Later on, when you reach a higher level, you can adopt pets and deck them out with pet apparel costumes. You can also breed them and make babies. Just like in the real world. In the settings portion, you can log in to your Facebook and Google Play accounts. You will find your friends who are also playing the game. Not an English speaker? The game supports multiple languages. There’s English, Arabic, Dutch, French, German, Indonesian, Italian, Japanese, Korean, Norwegian Bokmål, Persian, Polish, Portuguese, Russian, Spanish, Swedish, Thai, Traditional Chinese, and Turkish. DIANDIAN INTERACTIVE HOLDING from the Cayman Islands first released Family Farm Seaside update on February 25, 2013. Great news! The game can be played by everyone in the family which is perfect for bonding! Its latest version 5.2.400 was last updated on December 4, 2018. This includes the snow theme, a special mission, Christmas Rush, Snow Base, and five-holiday decoration discounts. It has since been downloaded for over 50 million times. Like with any game, it will be recommended to follow all tasks and objectives assigned to you. If in case the task is new, the game has a “Show me” beside it, which will guide you. Keep checking the missions for new assignments. You have the option to speed them up by pressing the lightning button that appears next to the items. It will show on your screen, your current level (purple star) and coins. You will also find the Farmer bonus (treasure chest icon), and the Farmer benefit (red sack icon). Be sure to claim these! Don’t forget the Daily Bonus! Make sure to log in to the game every day. Add friends, so you can trade with them and help them with their tasks. You can also connect social media accounts for cash. Watch videos on YouTube, follow the game’s Instagram and Twitter accounts for more rewards! As mentioned, you will initially be working on the Exotic Island Farm, where you can explore a Mine and garden. Eventually, you will have access to the Marine Sea Resort for more exciting adventures. The photo on the upper left portion of your screen is where your farm stats are. You can change the name and avatar to make it more personalized. This is a simple hack and cheat if you want to personalize your experience in Family Farm Seaside. Have you downloaded Family Farm Seaside yet? Join in the fun while helping Felicia and Darryl! That’s not all! 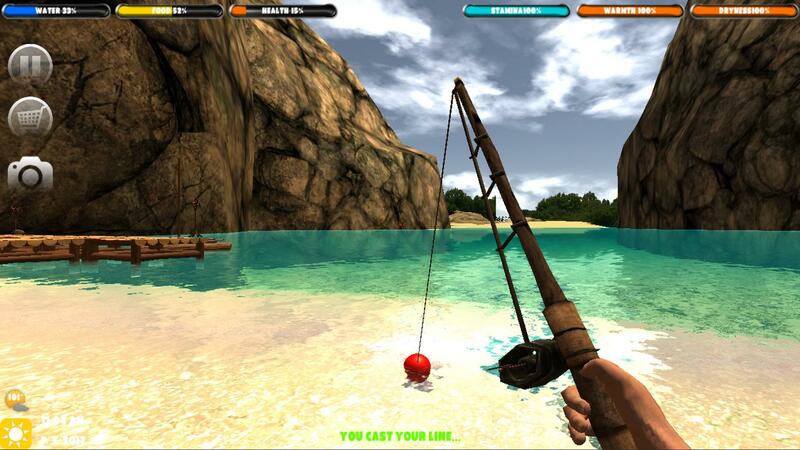 Check out our other fun games Fishdom and Toy Blast! Download them now for your PC and Mac! your Family Farm Seaside installation.